David Rankin was brilliantly able to present basically almost all the important topics related to both Ancient Celtic societies and Mediterrean (Greek and Romans) authors in this book.The book itself is divided on 15 chapters ( covering the most different issues such as how celtic religion, warriors, social structure, gender relations were represented by Greek and Roman authors ) + an appendix about the Romans and Ireland + a good bibliography and an index.Perhaps one amazing thing about Rankin's book is that it brings another important source from Celtic Studies into discussion which is not always treated by most academic authors - the Greek and Latin texts. 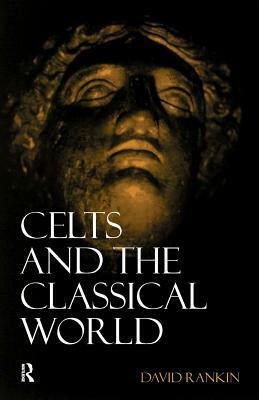 Indeed, if nowadays there's is a tendency of only studing Iron Age societies from an archeological approach, Rankin is able to go beyond this calling the readers attention to the importance of the Ancient text sources about the celts. The author then is able to investigate the Celts through 'Classical eyes' and whenever it's possible, articulating this representations with Archeological data and also Early Irish and Welsh sources. The text is well written and all the references made to Classical authors are presented in the bodytext which is good for an academic reader as much as to anyone who's interested later in reading the ancient texts by themselves. Quoting Barry Cunliffe, this book will remain a standard work of reference for years to come. Hard work as a stand alone read. Some references sent clear and you have to go backwards sometimes to understand where Rankin is at or coming from. Identified chapters make it easier as a reference, but more chronological dates could make it easier to follow as a continuous read and ref.